Bummer! These novels were so epic, and I thought David Fincher directing Rooney Mara was lights fantastic, but this one's just sorta slow, meh, and wholly underwhelming. 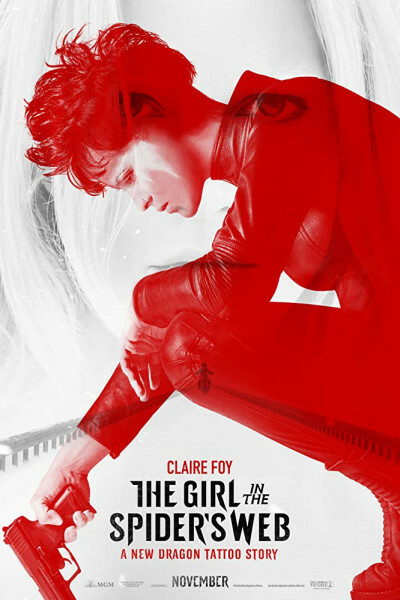 I really like Claire Foy, but she's completely miscast here, waddling like a duck in liquid leather. Color me nonplussed, and missing Daniel Craig and Mara all the more. 2011's The Girl with the Dragon Tattoo was a shocking installment, precisely as they all should be. By definition, Lisbeth Salander is a misfit, an outcast, a vengeful genius whose life mission is "to harm men who harm women." The only victim in Foy's spider web is Dear Moviegoer.